N-ethyl-O/P-Toluene sulfonamide Suppliers, N-ethyl-O/P-Toluene sulfonamide Manufacturers. 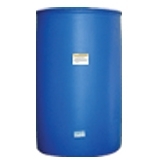 Package: 200kg N.W per plastic-plated iron drum. Uses : Mainly used as plasticizer.